Listen to the lyrics. They tell a better story than I do. Here’s a special one for ya. It’s the first story I’ve written on here, at least a personal one. And of course it’s accompanied with a playlist, which tells the story much better. My writing only covers the first night and only 95% of that. Ya gotta earn the rest. Like the iPhone every year, this is our best playlist yet! It really is. 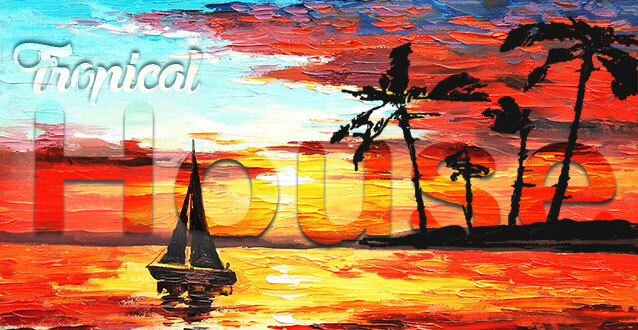 House has been my obsession for the past few years and my favorite kind is the mid-tempo, upbeat summertime jams. Which may or may not turn out to be called Tropical House. Or Summer House. Or Horizontal Disco. It’s up in the air really. A few tracks do stereotypically incorporate the steel drums, but we did cover more ground than that. We also decided this should be more comprehensive than our usual playlists because we wanted to get all the trop house personas in one place. There are quite a few interesting characters. I had a good talk with a few of my coworkers yesterday about remixing and they brought up a good point. A lot of remixers just don’t add enough to the original to warrant credit. So many of the remixes I favorite on SoundCloud turn out to be not all that different from its original. Often times this is because dj’s are adding in simple edits, something as simple as a synth, to make the music more danceable. The point of a remix is to take something from a song, whether it be a vocal or other memorable part, and update it into a more modern sound or flip it into a completely different style, among others I’m sure. I actually had to get rid of a few that were originally on here because of that very problem. They brought something new to the song, but it’s really the same tune, just an edit. And maybe producers should start labeling it as such. After he impressed the world with his October’s Very Cold project, mashing up Drake with Coldplay, Chi Duly is back with his latest offering entitled Balloon of Haus. The 11 track offering showcases Chi Duly’s take on some of The Weeknd’s most popular tracks spanning from his three mixtapes.